20 years of Mercurial innovation. Could the latest Superfly be the best one yet? 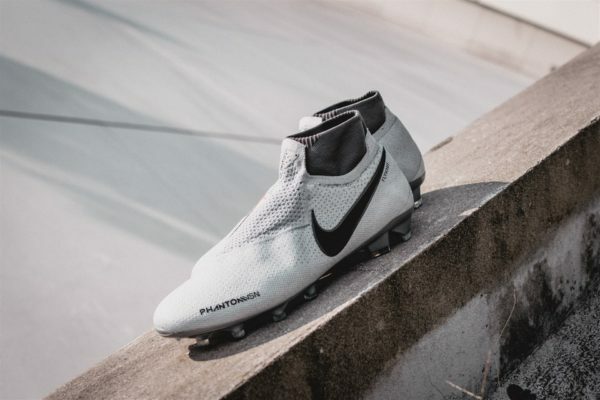 The Nike Mercurial line has always been a trail blazer in football – featuring the latest and greatest technology to refine their concept of what a speed boot is. The First Mercurial made waves when the legend, Ronaldo Fenomeno, donned a pair for the 1998 World Cup. We all have a Mercurial that we love and mine was the Mercurial Vapor 1 that would not look out of place in today’s scene with its sleek silhouette and uber light frame. Picture a Thierry Henry in his prime, elegantly striding past defenders and slotting the ball into the far post. That was Mercurial for me. Over the years, Nike has attempted to cram in more tech into the Mercurial boots – sometimes at the expense of comfort. The Superfly was the embodiment of that pursuit for perfection that came with its flaws. With a gradual shift towards Flyknit, Nike sought to reduce issues with discomfort while keeping to its speed DNA – refining them for the demands of the modern forward. For a speed boot, it was ironically slow to catch on by the endorsed athletes. The previous Mercurial Superfly was exceptionally popular and many did not make an immediate switch upon the launch of the Mercurial Superfly 360. Upon unboxing, I could understand why. The Mercurial Superfly 360 is an absolute looker but the Flyknit upper is a little stiff to the touch out of the box. Other Flyknit boots such as the Nike PhantomVSN and Hypervenom 3 may pack a thicker upper but they were definitely more comfortable on the first try. 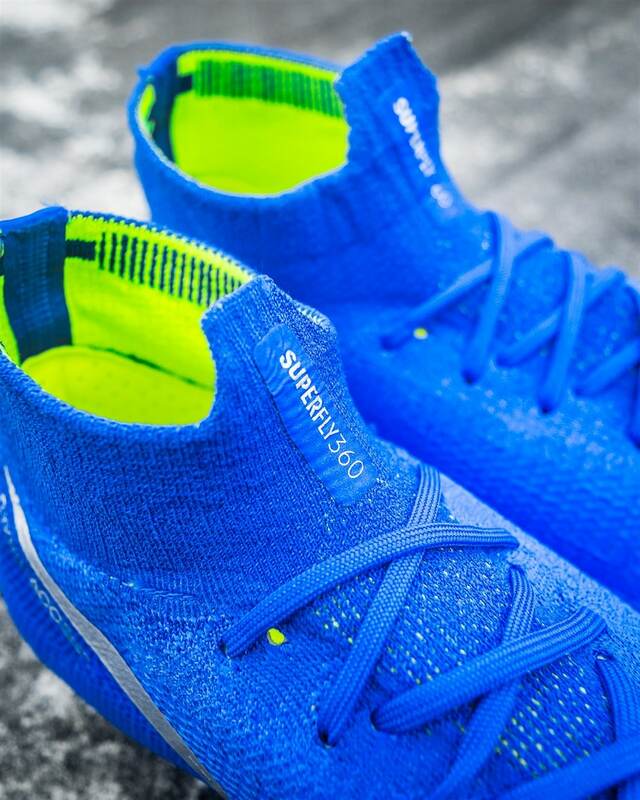 The upper for the Mercurial Superfly is actually very thin but the stiffness is most evident around the lower areas of the where there is a layer of plastic to fortify the Flyknit material. 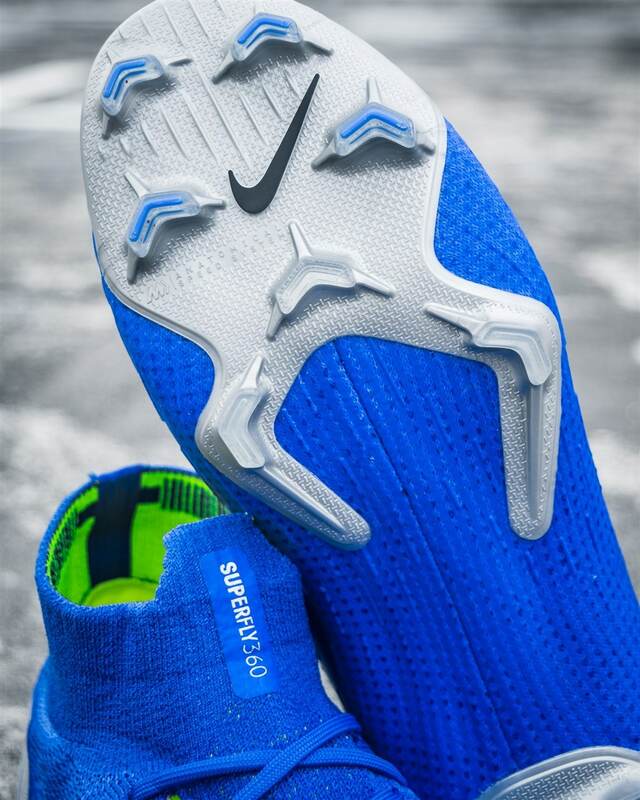 The Flyknit gets more “exposed” as it travels up higher on the boot towards the laces and collar. Expect the boot to soften up after 3-5 games, if you’re patient enough. 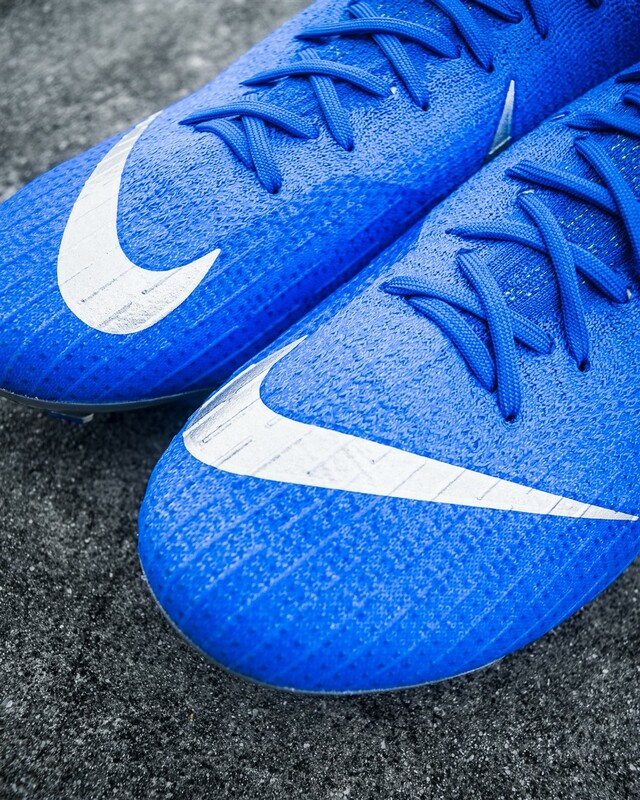 One of the best looking Mercurial Superflys to have ever been released. The upper could do with a bit of breaking in though. 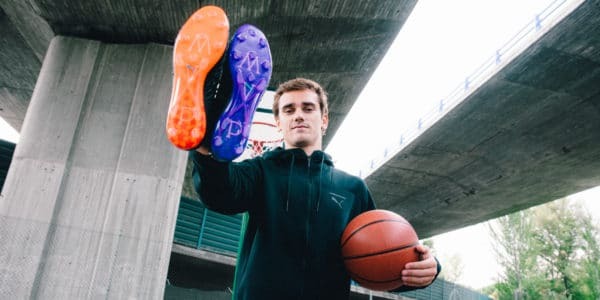 One cool detailing on the forefoot and instep is the inclusion of embossed strips that are meant to help produce some traction on the ball during high speed dribbles. Don’t expect PhantomVSN-levels of friction against the ball but it does keep with the speed aesthetics which is rooted in the Mercurial DNA. Notice the slightly smoother and darker areas around the forefoot? That area has a layer of protection for durability purposes. Once you put on the boot, one thing you can’t stop noticing is how well your feet are planted into the boots. The Mercurial series has always been inspired by the same track and field shoes that sprinters wear and this is one of the biggest features of the Mercurial Superfly. The base of the boot is made from an anatomical soleplate which curves around your sole to hug it tightly. It took me about an hour of the game to get used to the high arc curvature but once you get used to it, you’d wonder why more boot manufacturers aren’t doing the same. It just feels natural and exceptionally comfortable. Many have also poured scorn over the split sole design with fears of a lack of durability. The truth is that the pattern is no different from the previous generation Mercurials with the exception of the “exposed” middle area. That area is made up of a reinforced internal chassis, layered with a thick plastic material over the Flyknit. This is not a step back for the boot – it is just a cosmetic update. And a pretty nice one at that. No issues with the split sole design. In fact, it looks pretty wicked. The studs form very aggressive arrow-shaped blades that are meant to dig deep into the ground for maximum traction when taking on your defender. 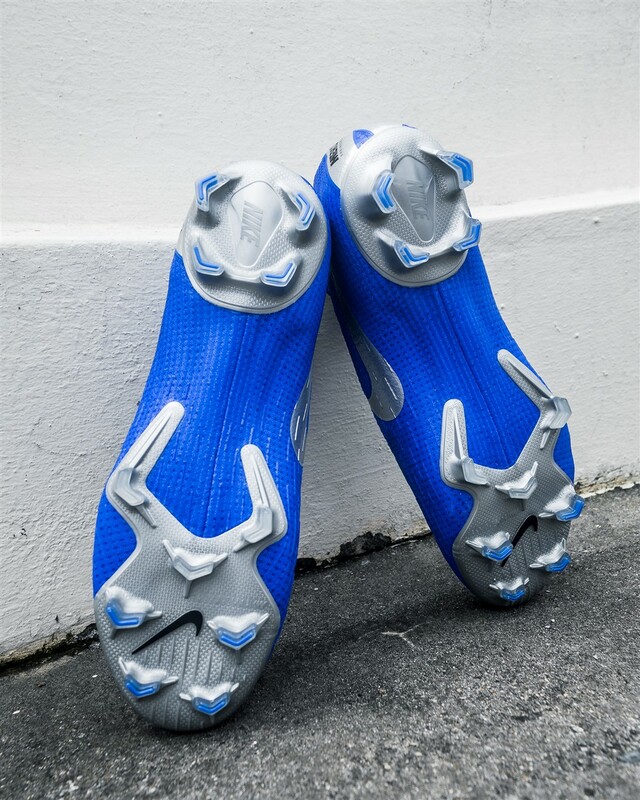 It’s the most aggressive stud pattern on the market, perfect for those who love that bite when sprinting for the ball. The studs, combined with the stiff soleplate, provide an exceptionally responsive experience which springs your feet back to shape with every step. I’m not much of a speedster but with the Mercurial Superfly on, I felt like a cheetah who could run for miles. The boot is made for running fast. The blades claw into the ground for optimum traction. A quick word about the FG soleplate. I did notice some stud pressure while playing on AG surfaces. This was nowhere near the painful experience of the PhantomVSN Elite FG on AG, but I would recommend breaking in to them by wearing your most comfortable pair of boots for the first half of the match before switching to the Mercurial Superfly with your feet a little warmed up. The best option for AG surface players would be to buy the pure AG variation (which comes with rounded studs) instead to reduce any chance of injury as the blades on the FG soleplate digs in hard into the ground. If you really have to use it on AG, avoid the shallower AG surfaces and stick to those with a little more depth. The “360” referenced in the name of the boot refers to the one piece construction of the Flyknit upper. Sure, it makes it a little challenging to put on, but once it’s on your feet, it’s meant to provide better lockdown, reduce any overstretching over long periods and reduce water seepage if you get caught in the rain. The Mercurial Superfly is also accommodating for those with moderately wide feet – a big departure from it’s super slim form from previous generations. While I’m usually in a size US10, I went half a size down to get a very snug fit and there were no regrets. The Mercurial Superfly definitely makes you feel locked in when you’re making more aggressive movements like lateral cutting, sharp turns and hard strikes of the ball. Due to the thin upper, any touches on the ball feels like a barefoot touch which will please many who like the traditional “speed boot” feel. Passing and receiving the ball felt engaging while the close touch made dribbling feel more secure – especially important for someone like me who doesn’t always feel most comfortable taking on his man. All this is helped by being extremely light on feet at a mere 200g per boot that makes those step overs feel like a breeze. No wonder Cristiano lives by them. Besides the multi-million dollar contract, of course. The collar also seems to be shorter here than in the previous generation Superfly and I dig it. If I had a choice, I’d opt for the collar-less Vapor but this collar looks great on feet. It doesn’t do much with ankle support but it hugs your ankle snugly to further provide the sensation of being cocooned in a secure boot. I’m not usually a fan of mid-cut collars but this one looks pretty fine. The stiff upper is a minor concern but it does make up for this shortfall by being on the thinner side which would help reduce break in time. 3-5 sessions in, you won’t notice a thing. While the Superfly has had a history of being uncomfortable, there are no such issues with this iteration of the Mercurial Superfly. It even comes with some plush suede-like inner linings for a softer feel on the inside. After 20 years of speed innovation, I believe the Mercurial Superfly 360 could be the best one yet. Where do they go from here? Possibly a softer, more breathable upper for comfort would be good – like the adidas X18.1. I believe Nike also needs to catch onto the FG/AG stud configuration for all their football boots as many are playing on dual surfaces, even more so on AG surfaces than natural grass. However, these should not take away from the fact that the Mercurial Superfly remains a top performer and the premier speed boot in the market. 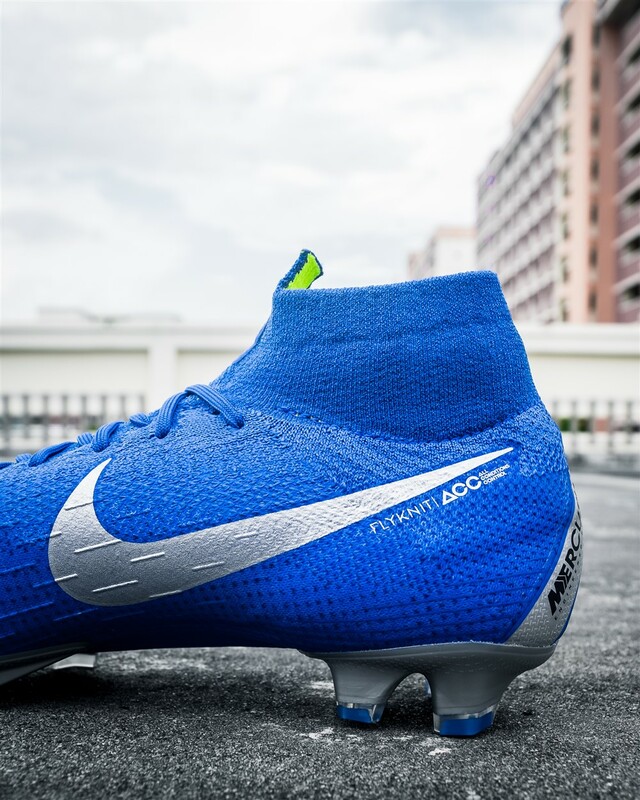 It performs admirably, it’s definitely got one of the nicest silhouette I’ve seen on a Mercurial (the Nike Mercurial Vapor 1 still has my heart) and it is full of Nike innovation that makes you feel more engaged in every sprint. 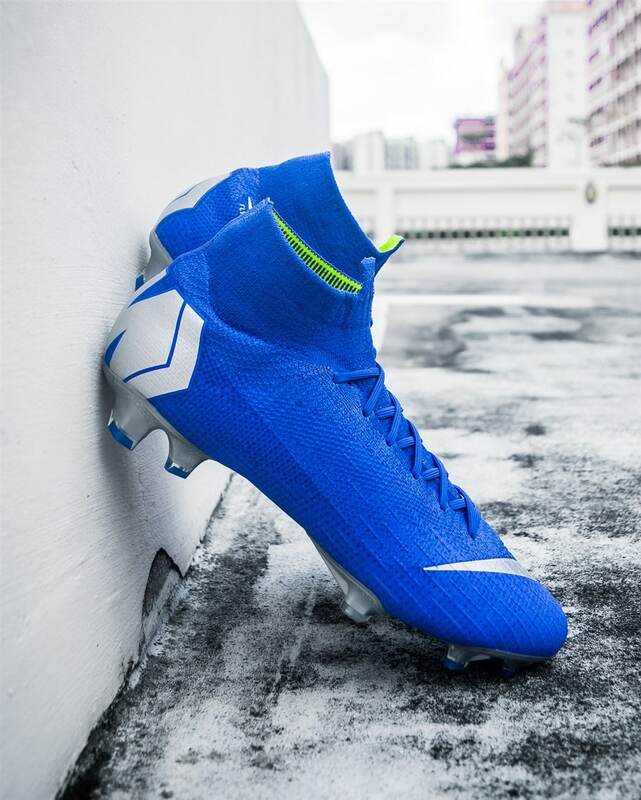 The Nike Mercurial Superfly is a speed boot in its purest form and remains among the best in its category.